will part with 20 percent of his match fee for the fifth ODI against Australia after having breached a team curfew ahead the match in Dubai. The PCB said he pleaded guilty to the charge and accepted the sanction imposed by Talat Ali, the team manager. "I am glad that Umar has realised his mistake, and has accepted and apologised for his actions, which were clearly unprofessional and in no way can be ignored or overlooked," PCB managing director Wasim Khan said. "The PCB expects a high level of professionalism and commitment from its players, and this action is a reiteration and timely reminder that any indiscipline shall not be tolerated or accepted." Umar was believed to be out attending an Akon concert on Friday night without permission from the team management, with his late return violating the rules set on when players needed to be back at their hotel while on tour. This series marked his international return after nearly two years out. A fiery spat with head coach Mickey Arthur in 2017 appeared to have put an end to his international hopes. But in a surprise move, he was called up to the Pakistan squad for the five-match series against Australia as Pakistan rung the changes after resting several first-team players. There were signs of his relationship with Arthur being on the mend during the series. There were a few occasions where the pair were seen sharing light moments in the dressing room. ESPNcricnfo understands the pair met before the series and made some headway towards resolving their differences. However, Umar may have fell off the mark in terms of trying to present a case for World Cup selection. There were several starts; he managed more than 35 in three of the five games, but his highest score was 48. 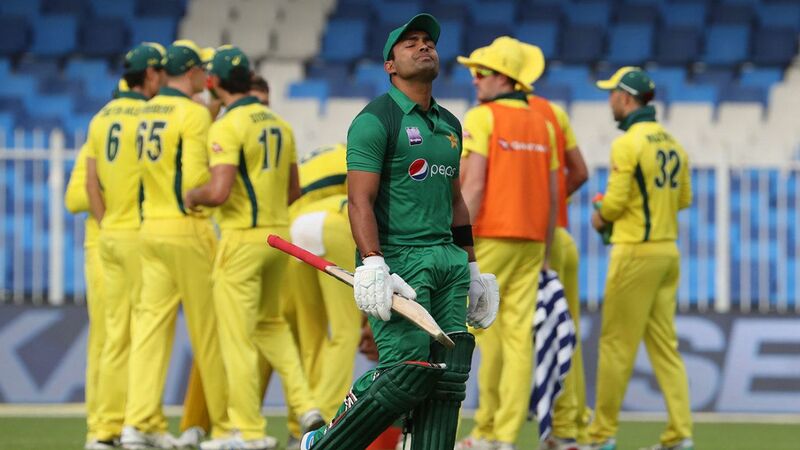 Umar's perennial struggle - converting 40s into bigger scores - or concentrating for long enough not to let poor shot selection bring about his demise, was front and centre right throughout the series. Umar has coughed up in his 10 years in and out of the Pakistan side, often to do with partying after-hours entertainment. He was a T20 series in England in 2015 after attending a party in Hyderabad while playing a Quiad-e-Azam trophy fixture, while in April 2016, local media reported he was involved in a brawl in a Faisalabad theatre after demanding the venue arrange a repeat of the dance performance he had been watching.